In our English Immersion Program, language teaching is at the center of our instructional approach. Our Immersion Program is an intensive form of “content-based instruction” in which we integrate the content and skills of the academic subjects from the Japanese national curriculum with English language proficiency goals. Through this process students concurrently learn the specific content, skills and concepts of each subject and acquire English language skills. However, immersion is not simply teaching the regular academic content through a foreign language. In order for students to acquire the skills and concepts of the academic program AND acquire functional proficiency in English, teachers must work within a distinct instructional framework. 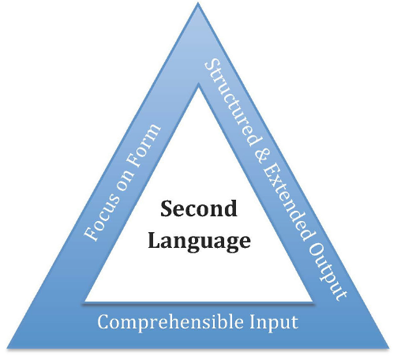 This instructional framework consists of three general principles derived from second language research and includes various instructional strategies that exemplify these principles. Student-centered and inquiry-based tasks that require students to identify problems, ask questions, and create solutions. Plan activities that draw attention to grammatical forms that students are struggling with and provide meaningful opportunities to use these more difficult forms orally and in writing. Create activities that require the students to use specific language patterns so that students how to use the correct forms in meaningful, communicative contexts. Help students to identify and correct their own language errors. Provide focused and systematic feedback on frequent language errors.